Of all the types of trees in the hickory group, the pecan tree (Carya illinoinensis) is the tallest on average. A member of the walnut family, the pecan is an important producer of nuts and is a cultivated species in much of the Deep South. The pecan tree makes an excellent shade tree; its nuts becoming secondary due to the difficulty you would experience trying to protect the tree from disease and insect pests. A mature pecan tree has a vase shape and it will grow in some instances to as tall as 180 feet. The average pecan, though, will stay in the 100- to 140-foot height range, states the “Trees of North America” field guide. The trunk can be massive, with some as wide as 7 feet. The pecan tree has compound leaves, with the stem the leaflets attach to up to 20 inches long and the individual leaflets between 4 and 7 inches in length. The pecan leaves will have from 11 to 17 of these sharp-pointed leaflets. The nut that a pecan tree produces comes in a thin husk that turns brown and eventually splits as the nut ripens. The pecans will fall from the branches between September and December, depending on how far south the tree grows. The Floridata website says that the pecan tree requires from six to nine months of no frost for the nuts to have a chance to mature. Pecan trees between the ages of 75 and 225 years have reputations as the best producers of nuts, with some able to provide as much as 1,000 pounds of nuts annually. Pecan trees need full sun to grow and during the growing season must have as much as 2 inches of water per week. The tree grows naturally in the wild in warm-weather states, but cultivars exist that will produce nuts in more northerly climates. If you plan to plant more than one pecan tree, you must space them at least 35 feet apart to allow them room to grow. The pecan has a deep taproot, which can make transplanting young trees very difficult. The natural range of the pecan tree includes the valleys and floodplains of the Mississippi River and many of the smaller rivers that flow into it. This includes states such as Illinois, Indiana, Missouri, Kansas, Tennessee, Arkansas, Louisiana and Texas. Indeed, the pecan is the state tree of Texas. The tree grows as multiple cultivated hybrids throughout Deep South states such as Georgia and Florida, where it is an important crop species. In addition, pecan trees now grow in cultivation in nations such as Spain, Australia, Israel and South Africa. Pecan scab is a common ailment. The disease will result in black spots on the pecan’s leaves and cause the nuts to become malformed. Insects like the stinkbug and the pecan casebearer will ruin the nuts with tiny worms that infiltrate the husks. The large size of the pecan tree makes it impossible for the average landowner to spray the entire tree effectively to prevent these problems. 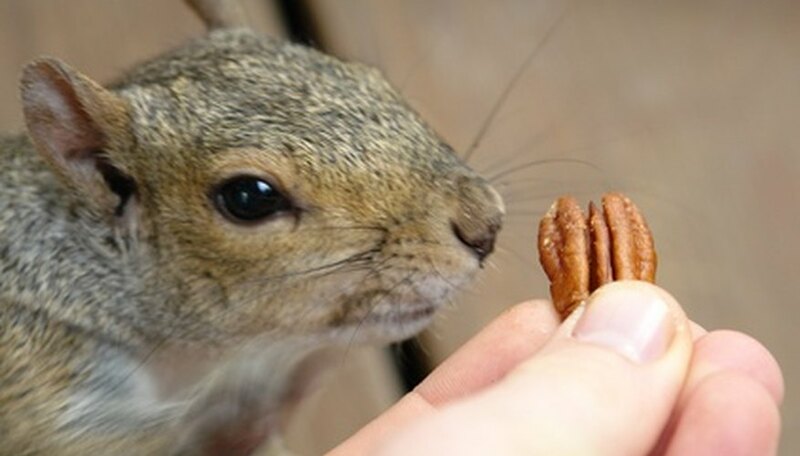 Are There Any Dwarf Pecan Trees? How Old Is the Almond Tree Before It Starts Producing a Crop?